Snapdragon 835 is only just finding its way in flagship devices and we already have the specifications for Snapdragon 845 and Kirin 970 coming through. According to the latest leak, both chipsets are going to be manufactured on the 10nm FinFET architecture, displaying that both Samsung and TSMC will have a mountain to climb when producing significant yields for chips on a lower lithography. However, the leak also shows support for faster storage and RAM standards, which in turn should make your mobile device more responsive compared to previous-generation devices. 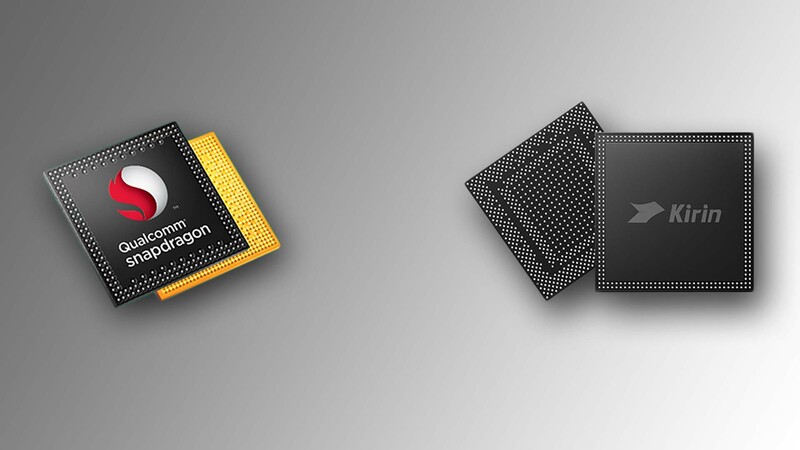 For two generations, we have seen Qualcomm form its own custom processors for Snapdragon 820 and Snapdragon 835 but with the announcement of the Snapdragon 845, things might take a different turn. According to the specifications given below in the sheet (via MyDrivers), Qualcomm’s upcoming latest and greatest SoC will rely on ARM’s Cortex-A75 to deliver the performance side of things, while the Cortex-A53 cores will be the efficient cores handling tasks such as video playback. 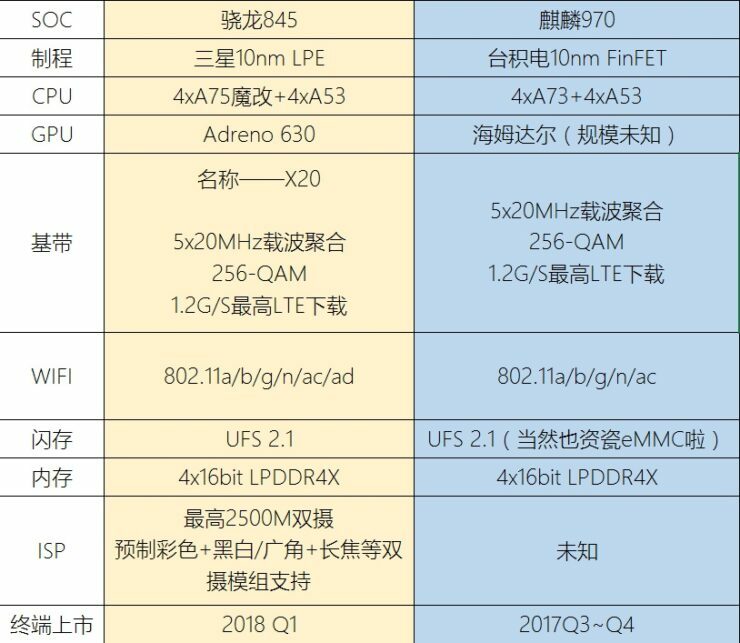 The unveiling of the Snapdragon 845 is most probably going to take place next year but the surprising thing detailed here is that it is going to be manufactured on the 10nm FinFET LPE and not LPP process. This is where we have some serious doubt on the specs leak so remember to take it with a pinch of salt for now. As for the Kirin 970, we expect it to be present in Huawei’s upcoming Mate 10, which is regarded as the holy grail of the company’s yearly announced flagship smartphones. Both chipsets are also going to provide support for faster UFS 2.1 storage coupled with LPDDR4X memory, making future Android-powered devices faster and more responsive. Hopefully this time Huawei will also use UFS 2.1 storage on its flagship devices rather than resorting to using slower eMMC-standard storage for further cost savings. The Adreno 630 GPU is where the Snapdragon 845 will have a considerable lead against the competition, but you never know what trump card ARM might pull out of its pocket.